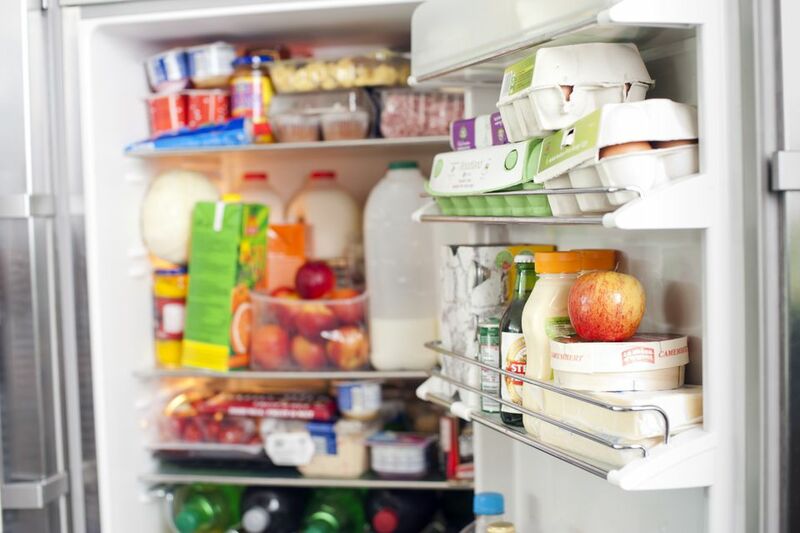 Everyone runs into a conundrum every once in a while—has the food been sitting out too long, and will refrigerating it help stem the growth of bacteria? Bacteria are present in everything, and it's impossible to completely avoid them. While some bacteria are helpful to humans, other varieties are harmful. The best way to avoid bacterial growth on food is to follow proper food-handling instructions: Keep meat cold, wash your hands and any surface that comes in contact with raw meat, never place cooked meat on a platter that held raw meat, and cook food to safe internal temperatures. Additionally, food should be put in the refrigerator within one to two hours of being cooked. Bacteria grow best at temperatures between 40 degrees F and 140 degrees F, multiplying very rapidly at those temperatures in ideal strata—that is, in perishable foods like meat and dairy products. That's why it's so important to keep perishable foods refrigerated at temperatures below 40 degrees F.
There's a myth circulating that foods need to be cooled to room temperature before stored in the refrigerator in order to avoid raising the overall temperature of the fridge and risking the other stored foods. FoodSafety.gov calls that a "mistake" and says that food should always go in the fridge within two hours, no matter what the current temperature, or within one hour if the food is cooked to above 90 degrees F.
There is an exception to the general rule that refrigeration minimizes bacterial growth: Listeria monocytogenes, a bacteria that causes serious illness, can grow at refrigerator temperatures, so make sure you clean up spills in the fridge immediately. Additionally, thoroughly cook meat and poultry to 160 degrees F and check it with a food thermometer. Hot dogs and deli meats are especially problematic with this bacteria, which is why health experts recommend that pregnant women and those in high-risk groups avoid those foods, along with soft cheeses, smoked seafood, pates, and meat spreads.